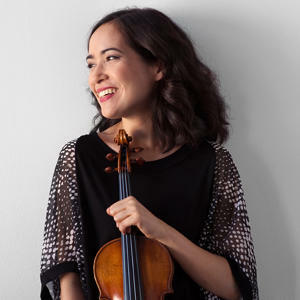 Viviane Hagner Debuts with San Francisco Symphony; Tours Europe and Asia | Viviane Hagner | Kirshbaum Associates Inc.
Violinist Viviane Hagner’s impressive 2017-2018 season takes her across Europe and Asia, performing an exciting array of orchestral and recital repertoire in both major concert halls and intimate spaces. 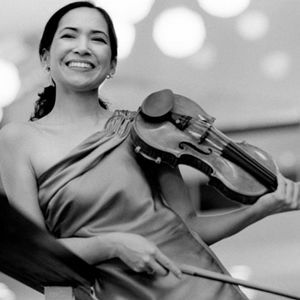 In November, she makes her debut with the San Francisco Symphony under the baton of Michael Tilson Thomas, performing Beethoven's Violin Concerto. Ms. Hagner opens the Nuremberg Symphoniker’s season with William Walton’s Violin Concerto conducted by Deye Lin. Additional orchestral highlights include Seoul Philharmonic Orchestra for the Asian premiere of a new violin concerto by Anders Hillborg, conducted by Thierry Fischer; performances of the Beethoven Violin Concerto led by Antonio Mendez in Barcelona and Madrid with Staatskapelle Weimar; Brahms Violin Concerto with the Hallé Orchestra and Karina Canellakis, and the Mozart Concertante in London with the Royal Philharmonic Orchestra conducted by Pinchas Zukerman. As a recitalist, Ms. Hagner offers programs of Bartók, Debussy, Messiaen, and Franck with pianists Rudolf Meister and Nicole Hagner throughout Europe.